Post Google Panda link strategies. 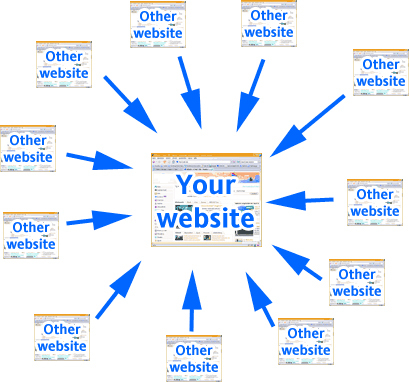 You are here: Home / Google Panda / Post Google Panda link strategies. My website was hit hardest ever after Google Panda update and deindexing of blogs. After some serious time analysing some successful websites and reading other people’s opinion, I come out with a list of old link building tactics that no longer works. List of link building tactics that no longer work. Getting links from link network – It is easy to get hundreds of link in a short time with link networks, but google can easily detect them as chain of blogs/network. Google has introduced an algorithm that is able to detect backlinks from link networks. Getting links from only one source – It used to work very well, submitting your articles to hundreds of article websites and get hundreds backlinks. Submit 10 and get 1000 of links ? No more ! Now each backlink from a single source counted only ONCE ! Always use of a single anchor text link – Building backlinks using the same keyword phrase as the anchor text is now an indication that you are trying to build links artificially instead of getting them in the natural way. Google can reduce your website ranking for having many backlinks with the duplicate anchor text. List of Link building tactics that may work. Diversify your anchor text – Having only keywords for your anchor text is considered as an intention to manipulate search engine rankings. To avoid this problem, create a diverse anchor text profile where you’ll use completely neutral phrases like “Click here”, “Read more”, “Go here”. add some url only as your anchor text works too. Build link gradually – Google can detect sudden surge of backlinks and raise a red flag. Do it gradually, constantly and it will looks more natural. Get links from well inter-linked pages – Site, especially blogs that interlink within their blogs not only makes their blog looks professional but it also create more link juice. An example of the site with a good inter-linking is Wikipedia where each page has links to related pages. Article directories are the sites with a poor content inter-linking because they usually do not allow link from one article to another. Get links within content, not footer or sidebar. Get links from relevant sites. My site is about hosting, I would prefer to get links from hosting, web design or web related sites only. I am practicing this new tactics, hopefully it helps me to get out of Google Panda. I seldom leave responses, but i did some searching and wound up here Post Google Panda link strategies. – Top10WebHosting.com Blog. left by brain dead individuals? 😛 And, if you are writing on other social sites, I’d like to follow everything new you have to post. Would you make a list of every one of your public sites like your Facebook page, twitter feed, or linkedin profile? are panda’s algoritma still work today?